I think I've done a pretty good job not wasting money at Starbucks - considering one is located literally (cue Rob Lowe! *) in my apartment building. Even with the Starbucks being freakishly convenient for me to visit, I can count on 1 hand the amount of times I have bought something from there in the 10 months that we have lived above it. Since discovering two new items that are sold there, I have frequented this Starbucks (or sent my boyfriend as I didn't want to appear like a stalkerish freak) about twice a day for the past week. 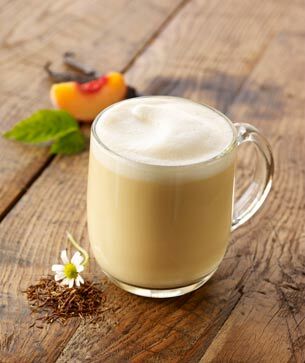 The first item that I am currently obsessed with is the Vanilla Rooibos Tea Latte. I don't normally like tea that I don't make myself, but this thing was pretty awesome. And it's tea, so it has to be better for you than a Frappuccino, right?! My only issue with this drink is that I have to let it sit out for 30 minutes before drinking it or I burn the crap out of my mouth. The next item is the tastiest f*cking thing I've eaten in quite a while. It is so good that it requires pseudo cussing. I present to you, kind souls, the Birthday Cake Pop. I've already informed my better half that I want these as my birthday dessert. No specialty cake or cupcakes. I want these little Starbucks desserts on a stick to help celebrate me reaching spinsterhood. At $1.30 each, I don't see it being a problem. Yay! I'm considering making a bunch of ready-made stuff that, when sold, the profits will benefit my I've-Only-Been-To-Starbucks-Once-Today-So-I-(Or-You-My-Better-Half)-Can-Still-Go-And-Get-Some-More-Cake-Pops! Fund. *Ohmygod, Parks and Rec. is getting to be so freaking funny! "You are literally the meanest person I've ever met." Oh wow, those pops look amazing! Thanks a lot for ruining my diet! The one thing from Starbucks that calls my name is the Frappucinos! I'm good at resisting Starbucks as well, but those lollipops look great! LOL..I love the choir singing cue under your pic! Those..look..mahhhvolous! Thank goodness Starbucks is miles away. I am cheap but I doubt even cheap 'ol me could withstand LIVING over one! I love their frozen coffees but must say my SIL and brother make THE BEST frozen coffees in their shop. Thank goodnes that is also miles away or my patootie would be 5 ax handles wide! Okay so not only is this post amazingly true and entertaining but Park and Rec has got to be *literally* one of my fave shows! Mouse Rat = best band ever. I say, you only live once, so you better get your dessert pop and rooibos tea on! Ha! I love this post. :) I must confess that I am a regular at the Starbucks around the corner. I blame the soy chai lattes to which I've been addicted for the past 2 years. Sigh. 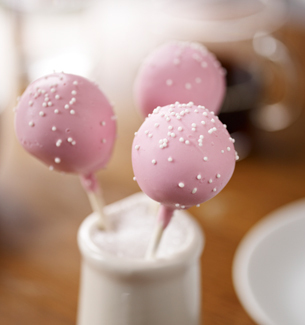 I've yet to try the cake pops, although they've definitely caught my eye on several occasions. I would do the exact same thing if I lived above a Starbucks, but I would always get a tall skinny vanilla latte and a peanut butter cup mini cup-cake. YUM! growing up in KS, I could resist Starbucks (what, Starbucks? oh you mean that place 30min away?). Now that I live in Seattle, it's all over. The coffee just pulls me in. It's everywhere.